I hate to be the one explaining any joke, for the sake of preventing, or at least trying to prevent this “rumor” going mainstream, I’ll take a hit for the team. As you probably know, news articles posted on April 1st are a mix of legit news and jokes, or in other words good intended disinformation. I find it positive because it tests skills to spot the “real” ones from the “fake” ones and raises awareness how easy it is to spin or completely invent something online. 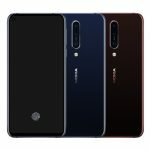 The story about the Nokia 8.1 Plus with the under-display fingerprint sensor is an April 1st joke. Some that thought it’s true might not find it funny, especially those that intentionally helped spread it not knowing it’s fake. 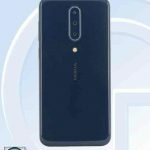 If you track back the info to the original source, besides user guides, you will also find renders of Nokia 8.1 Plus and screenshots of the device from TENAA, Chinese agency that approves phones and posts their photos and specs online once the device is allowed to sell in China. 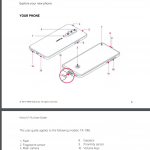 Checking the links to TENAA or the user guide, one can find that there is no Nokia 8.1 Plus TENAA entry or a user guide on Nokia.com. 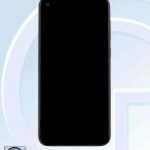 Anyways, you can check the source of this “rumor” here.